Religious and cultural diversity has been a key feature of the city of Leeds for almost 200 years and has resulted in the building of many fine churches, chapels and synagogues; these are now joined by mosques, gurdwaras and a mandir. 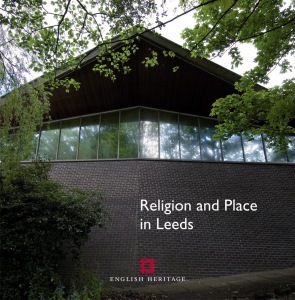 Tracing the architectural response to the changing conditions of the inner city and suburbs, this book examines the buildings associated with the groups of newcomers to Leeds, thus charting a great change in the city’s religious life. It is suggested that both the brand-new purpose-built places of worship and the way in which existing buildings have been adapted also reveal significant continuities with how Christian groups expanded in the 19th century. The alterations made to Leeds’ churches to adapt them to changing liturgical requirements and to the pastoral and social requirements of the present day are discussed. The context of the architectural expression of faith in Leeds in the 20th and early 21st centuries will also assist those concerned with the conservation of places of worship.